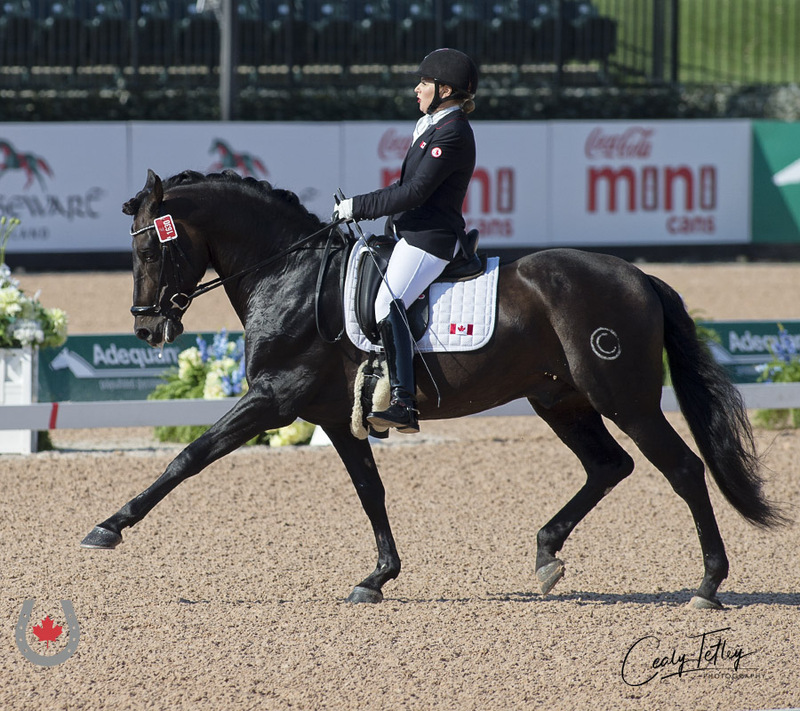 In her first major games appearance, Winona Hartvikson of Langley, BC led the Canadian Para-Dressage Team to a top-10 finish in the Team Test at the FEI World Equestrian Games™ Tryon 2018 (WEG) in Mill Spring, NC on Sept. 21, 2018. Team Canada earned a total score of 205.698 for eighth place overall. The gold medal went to the Netherlands on a score of 223.597, and Great Britain wasn’t far behind, taking silver with 222.957. Bronze was captured by Germany on a score of 219.001. Hartvikson, 59, was the top-placed athlete for Canada riding Ultimo (Invasor III x Teodoro), an 11-year-old Andalusian gelding she co-owns with Jane MacDonald. Their score of 70.000% was particularly impressive considering that the duo have only been competing at the international level since September 2017. Hartivkson performed movements such as voltes, serpentines and half circles at the walk with consistency and confidence to also claim eighth place as an individual in the Grade I division. 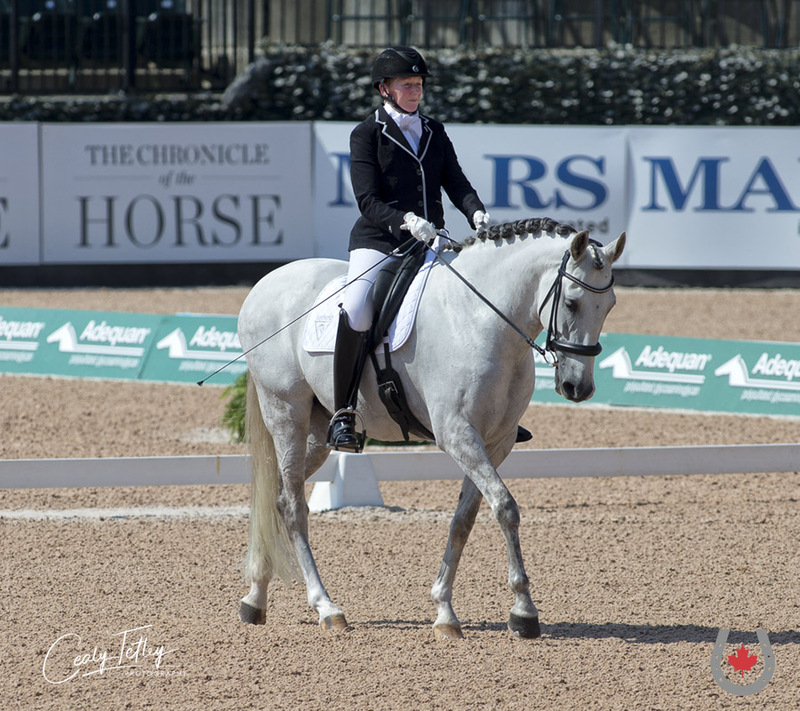 As a four-time Canadian Paralympian and three-time WEG competitor, Lauren Barwick’s major games experience was on display in her strong performance with Engelbrecht. Competing in the Grade III division, Lauren Barwick, 41, who resides in Reddick, FL, executed leg yields, turns on the haunches, serpentines, half circles and voltes in trot to also take eighth place individually with Engelbrecht (Vivaldi x Rimini 41), the nine-year-old Dutch Warmblood gelding she co-owns with Brenda Ladd. The four-time Canadian Paralympian and three-time WEG competitor produced her highest marking movement in the halt with a score of 7.6, which contributed to a total score of 68.912%. After securing eighth-place finishes in both the Grade III Team Test and the Individual Test on Sept. 19, Barwick and Engelbrecht will be aiming for a top-10 three-peat in the Freestyle Test on Sept. 22. Jody Schloss earned a top-10 finish individually in the Grade I division with Lieutenant Lobin. 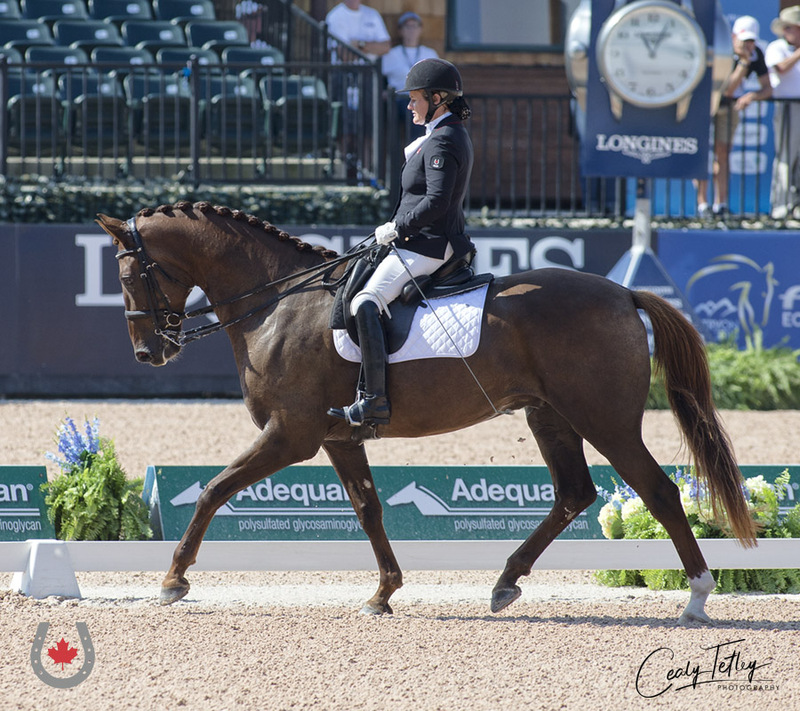 Barwick’s teammate from the 2012 London Paralympics, Jody Schloss, 45, of Toronto, ON, also had a strong performance with her 14-year-old Danish Warmblood gelding, Lieutenant Lobin (Lobster x Fanal Prydsholm). The duo’s well-executed halts and rides on the diagonal produced a score of 66.786%, earning them a spot in ninth place individually, right behind Hartvikson on the Grade I leaderboard. 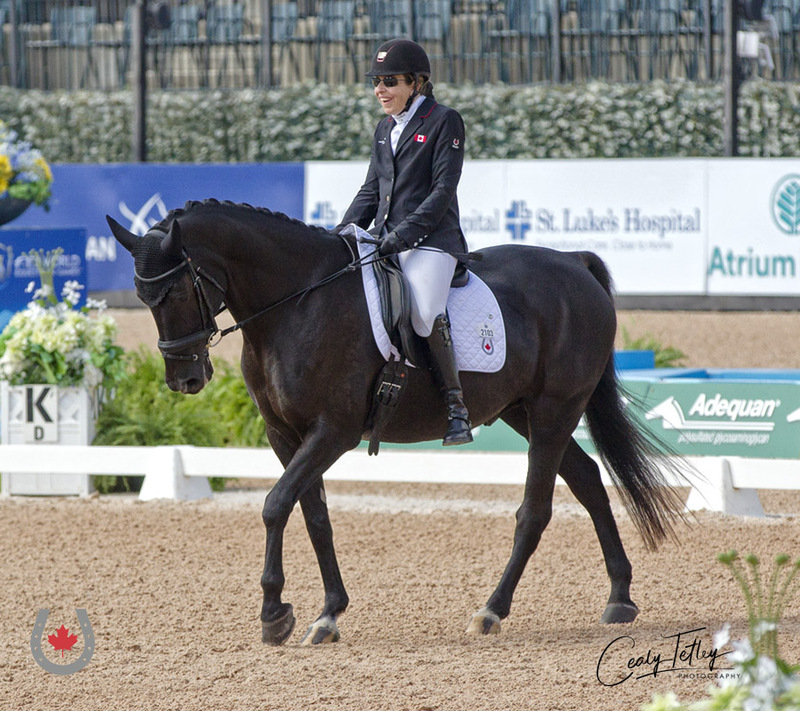 Canadian Paralympian Roberta Sheffield rounded out the Canadian Para-Dressage Team with Bailaor XXXIII. Canadian Paralympian Roberta Sheffield, 38, who resides in Lincolnshire, GBR, rounded out Team Canada with a score of 63.647%. Competing in the Grade III division, she and her 16-year-old Andalusian stallion, Bailaor XXXIII (Minero VII x Tetano III), earned 11th place individually.